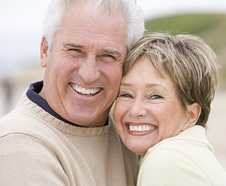 Often, maintaining good dental health involves the removal of a tooth. Misalignment, gum disease, tooth decay, and trauma issues all may require the extraction of a tooth. In addition, a dentist may choose to extract a tooth prior to orthodontic therapy to make room for the movement of the remaining teeth. The most common reason for a dental extraction is simple tooth decay. When a patient develops a cavity, bacteria cause the decay to spread. Once the bacteria reach the pulp, the tooth may become infected. The pulp acts as the nerve center of the tooth, supervising the flow of blood and nutrients to and from the tooth. Once the pulp becomes infected, the tooth may die. In addition, the infection may spread to the surrounding the teeth, threatening the stability of your smile. If you experience any of these symptoms, talk to your Park Ridge dentists right away. Dr. Maria or Thanasi Loukas may perform an endodontic procedure known as root canal therapy. The infected tissue will be removed and the tooth capped with a crown, often preventing the need for extraction. Unfortunately, in some cases, root canal therapy may be unable to save your tooth. When this occurs, you may need to undergo minor oral surgery to safely extract the tooth. The comfort and wellbeing of our patients is paramount. As a result, your Park Ridge dentists follow strict safety protocols.